Union Roasters is the Lake City's newest community coffee stop. Chris Lauri and his brother Shane Lauri started Union nitro cold brew in 2015. Their friend Andy Waters just so happened to have his own coffee roasting enterprise, SilverCup Coffee Roasters. So it became the perfect marriage of business ventures when the team consolidated and expanded simultaneously, converting the Grumpy Monkey Coffee House on Fourth into Union Roasters, which opened earlier this year. 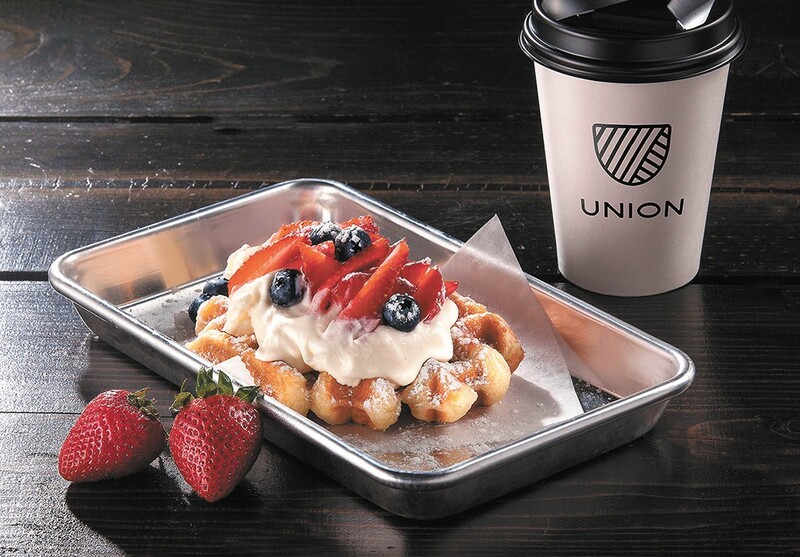 Union serves assorted in-house bakery items, and is expanding to include waffles using imported ingredients to make what Chris Lauri describes as typical Belgian waffles; doughy and sweet. They also want to expand the patio, providing even more places for people to linger over a cup. Their tagline, says Lauri, is "for the people." Those people include suppliers. "What people don't often understand is the Fair Trade logo — you can pay $1,500 a year to use that logo and it doesn't mean much anymore," he says. Instead, Union works with bean brokers with whom they've developed a strong bond, who in turn support farms worldwide. "More than providing a great product," says Lauri, also a pastor at a Coeur d'Alene church, "we really feel like we exist to be a blessing to people."